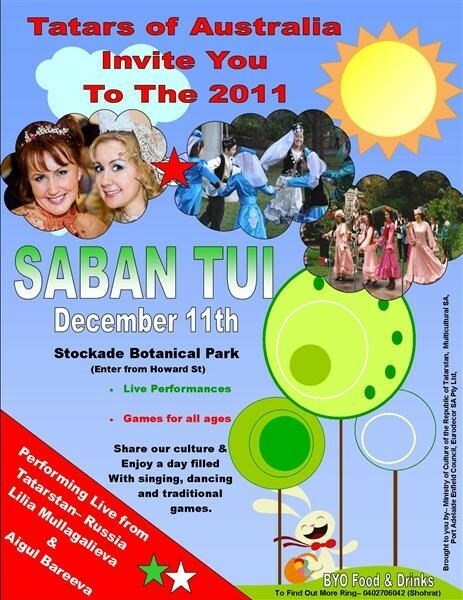 Australian Sabantui 2011, 11 December - at Stockade Botanical Garden 12 pm. with participation of honored singers of Tatarstan Aygul Barieva and Liliya Mullagalieva from Kazan! All welcome!